I grew up in Androon Shehr (old city) of Lahore in the 1980s. Most of my childhood and teenage years were spent in my Nana Jan’s house located at Lodge Road in Old Anarkali. It was an old but large house, left by a Hindu migrant family, located inside a narrow street of hundreds of years old neighborhoodwith Jain Mandir (when it existed) just two blocks away and Mall Road merely a ten minutes walk. Nana used to tell us that Gayan Chand, the head of that Hindu family, spent three long years building this house and it was a strange twist of fate that finally when it got completed in 1947 and he was just about to move in, partition took place. Not only did he lose his newly built house but he also had to flee the city where his forefathers had lived for centuries. Just like Nana Jan had to leave everything behind when he migrated from Amritsar, a high price that millions of people paid in 1947.Two years later in 1949, when situation improved, Gayan Chand came to Lahore to see his house only to find strangers living there. As Nana used to tell us, he stayed with him for a day and then left with eyes full of tears.So anyways, Nana’s house at Lodge Road where I grew up was located in a typical androon shehr mohalla where everyone knew and respected everyone else. I think the gap between rich and the poor was not that wide in 80s as it is today. We were considered rich but our next door neighbor was Master Sahab (teacher) whom I always saw wearing Sherwani and Qula, going to school on his bicycle. The house in front of ours belonged to a family who owned cement factories and traveled abroad every summer. Next to that was the house of Mota Hakeem Sahab who treated entire Mohalla (neighborhood) with his multi-color syrups and also sold that yummy Khamira Gaozaban. Hakeems were still quite popular (and cheaper too) in those days and many people preferred them over doctors. Then at the corner of the street lived Pehalwan sahab who, apart from being an instructor at Pehlwani Ukharas near Badshahi Mosque, was also a master of treating fractures and dislocated joints. It was very much of a mixed community. Most of the houses in our Mohalla were more than 100 years old with amazing wood work on windows, doors and some having Hindi scripts written on the walls. Our own house had Ishwar Bhawan written in Hindi just above the front gate. We never thought of erasing it or changing. Almost every house was painted in yellow with green colored doors and windows. I have never been able to figure out the reason for this yellow-green color scheme, still evident in many parts of Androon Shehr. I stayed with my Nana at Lodge Road house till I was sixteen. Since then I have been to many places but the peaceful joy and sheer happiness that I felt walking down the old narrow streets, with half demolished centuries old houses and looking at always smiling and satisfied faces of people, can never to be found anywhere else. Old Anarkali, Nisbat Road, Mall Road etc used to be the hub of small bookshops selling new and old (used) books in those days. People used to read a lot more than they do today (at least I feel that way). 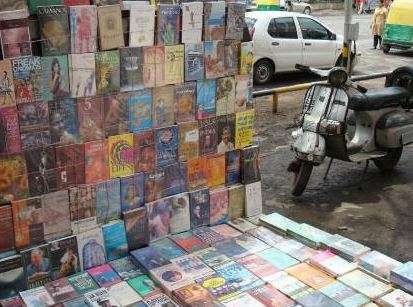 In Old Anarkali where I lived, one could see people everywhere who would sell old books from defunct British collections, on a rug in the mud. My cousin once forced me to buy George Orwell’s â€˜Keep the Aspidistra Flyingâ€˜ for Rs. 4 which he then took with him to England. On Sundays we (entire family) used to go to Lawrence Garden for early morning walks. The Mall Road had very little traffic in those days and Lawrence Garden was cleaner and peaceful place. After the morning walk we used to have a delicious Puri Halwa, Nan Chana and Lassi breakfast from nearby Gawalmandi which was great fun. My afternoon activity used to be walking down the Mall Road or the Bible Society in Anarkali (new) with my father, browsing through all kinds of books. These bookshops, mainly selling used and old books at affordable prices, served the needs of thousands of book lovers like me with always a meager budget. I remember buying my first ever children’s books (Umroo Ayaar, Tarzan, Bagla Aur Loomrhi, Bolti Billi, Tilismi Dayo and other great stories) from a very small shop in Anarkali, right next to Singhar House. I don’t know about Singhar House but that bookshop, which sold old books and rejects from Ferozsons for one or two rupees, no longer sells books. Sometimes I didn’t buy a thing but just browsing through books was very much like finding a hidden treasure. Books on almost every topic, from children’s literature to grownup books, everything was available. The book sellers of those old shabby books were also amazing people and they knew everything about the authors and their anthologies. Those book sellers even recommended books for reading and if they did not have what you wanted, they would know who had it or when/how to get it. It was one such book seller of a small shop at Mall Road who introduced me to the best of the bests of Urdu literature. In those days, Lahore’s old bookshops also served as gathering places for intellectuals and writers. It was not an unusual thing to find your favorite writers or poets browsing through the catalogues of books in one of those shops at Mall Road or sitting on a rug in the mud, bargaining prices with footpath book sellers in Old Anarkali. From one such footpath bookseller, I once bought an October 1949 version of Allama Iqbal’s Bang-e-Dara for Rs. 8, printed by Sheikh Mubarik Ali Publishers of Androon Lohari Darwaza. I often saw late Ashfaq Ahmad (who also visited Punjab Library frequently), Qasmi Sahab and even Mustansar Hussain Tarar buying books there. There were some excellent bookshops on the Mall Road during those days but only a few remain today. I remember there used to be one small bookshop near Regal Cinema gate inside the small lane (I forgot its name), where there are two flower vendors now. Also there was the Imperial Book Depot (still exists but doesn’t have any real books and gives a deserted look) and across from Regal used to be the Classic Book House. Then across from Cathedral and High court was Russian Book House (one of my favorite but they closed the puppy down very quick). Another one of my favorites was a small bookshop at the Regal Chowk, just on the left of Shireen Mehal (no longer exists). I think its name was Mirza Book Agency. They had Sherlock Holmes and Dr. Watson, The Hardy Boys and also the entire collection of Ishtiaq Ahmad’s Inspector Jamshed and Ibn-e-Safi’s Imran series (hugely popular fiction characters of 80s). They even had pocket sized editions of English literature classics and I still remember my father got me Charles Dickens’s â€˜A Tale of Two Citiesâ€˜ from there. Yes, Ferozsons was there too but they were never in my good book at least. The only good part about Ferozsons was that your parents had also gone there as children and so it was like entering a wonderland. But other than that, I always found it cold and forbidding. It seemed to be a bookstore for the rich and I never had much money to spend when I was a kid. Besides, Ferozsons only sold new books and I loved old books because they always gave me a sense of carrying previous reader’s energy within their pages. Sometimes those books were inscribed with a name and date or a message of well wishes was written on them. I guess old books smelled different too. So anyways, there was another large bookshop, Maqbool Academy in Dayal Singh Mansion, owned by a medical doctor. It was the only shop at Mall Road which offered 50% discount for members of National Book Foundation’s scheme for promoting reading in Pakistan. Maqbool Academy now mainly keeps medical and engineering text books imported from USA and Europe. Renting books was also common and a number of small home libraries existed in our neighborhood. I warmly remember a small Bakery shop who sold some of the yummiest cream rolls and Namak Paras (we kids called it Poppats, I don’t know if there is an English word for it) inside Krishna Gali in nearby Gawalmandi. The owner of the Bakery, who always wore Sherwani and Jinnah cap, was my Nana Jan’s friend and we called him Bakery Wala Uncle. He had this huge collection of books including children’s literature and often gave us books for reading. I don’t know why everyone called it a Bakery because it had only few bakery items and the books were in thousands occupying two large rooms. He used to lend us books for free but with a promise that we will not tear apart anything, not write anything and return them within 2 weeks. For rest of the neighborhood kids, the books were available for 10 Paisa a day. It was a time when even 5 Paisa coins existed and you could actually buy a candy for that. Once my cousin wrote his name on one of his book’s front page (as kids often do) and after that, there was no lending of books for any of us. Although Lahore lost it’s multi-faith and multi-ethnic identity soon after the partition but its unique architectural identity (Muslim, Hindu, Sikhs, Buddhist etc) remained intact till late 80s. Much has changed in 90s and particularly during last decade or so. Now each time I visit any part of old city, I see more and more hundreds of years old historical houses either been demolished or additions made to them without any architectural sense or planning, turning them into ugly structures. For whatever reasons, people have stopped reading books over the years too and angry violent behaviors and attitudes have taken over its place. Most of the bookstores I mentioned above have either been closed or changed their line of business to survive and the ones that remain seem deserted with expansive and out of date stocks. The store owners of yesterdays used to know about the authors and their anthologies; now it’s like a bunch of Afghans selling books like tandoori rotis. As a friend once explained to me, it is not just that there are fewer people who care about reading books; it is also that the general deterioration of intellectual life in the last few decades is now evident in the number of quality books written, translated, read or debated. The creeping religious intolerance and fundamentalism has played a significant role but deterioration of esteemed educational institutions is also a major cause. Of course, the economic turmoil, the always increasing prices of books and always shrinking budgets of ordinary people have played their part too. Having said all that, reading habits shouldn’t have to be taught or installed in a society. It is essential for a society’s intellectual survival and growth. I don’t know if I am quoting right or not but I think it was in To Kill A Mockingbird that someone said in some connection with reading, “One doesn’t learn how to breathe”. 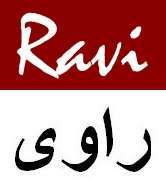 Author is a Lahore based freelance writer.